How to buy Ripple XRP through Coinbase and Binance? Undoubtedly, 2017 ended with the breathtaking performance of digital assets all across the globe. There is no doubt that this year will also be dominated by the ups and downs of Bitcoin, Ripple XRP, Verge, Litecoin, and several other cryptocurrencies. These are potentially attractive investments for financial geeks all over the world because of lucrative returns and abnormal profits. This article will focus on the simple way with which investors can purchase Ripple XRP using platforms like Coinbase and Binance. The process of acquiring XRP will commence with signing up for Coinbase and then purchasing the desired quantity of Bitcoin. Once the process of acquiring Bitcoin has completed, the next step is to sign up for Binance. After this has been done, transfer your Bitcoin via sending option from Coinbase to Binance which will allow you to convert the exchange rate from Bitcoin to XRP. Click here to go to Coinbase and sign up for the trading of digital assets. To have an account, you will have to verify your contact details along with bank account information. After setting up to account for all the pertinent details, the next step is to access the ‘Buy’ option which will allow you to choose the source of payment and then the desired quantity of Bitcoin can be purchased. Now, you will have the ownership of a certain amount of Bitcoin on Coinbase. Visit the Binance site here and set up an account using email and other relevant details required for opening the account. Once the Binance account has been fully operational, log in to it and search for the tab of “Funds” which will lead you to the option of “Deposits Withdrawals”. The webpage of “Deposit Withdrawals” will lead you to several rows filled with different cryptocurrencies. You need to search for the Bitcoin options and then click the linked deposit option. 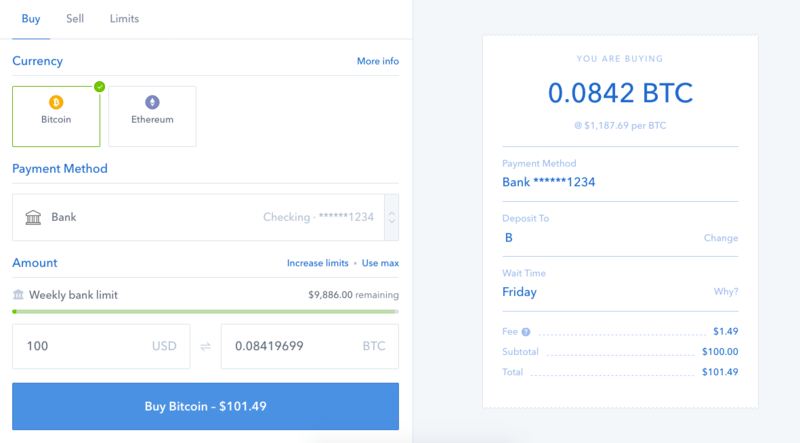 Now you need to toggle to your other window which will be having the webpage of Coinbase.com/accounts. 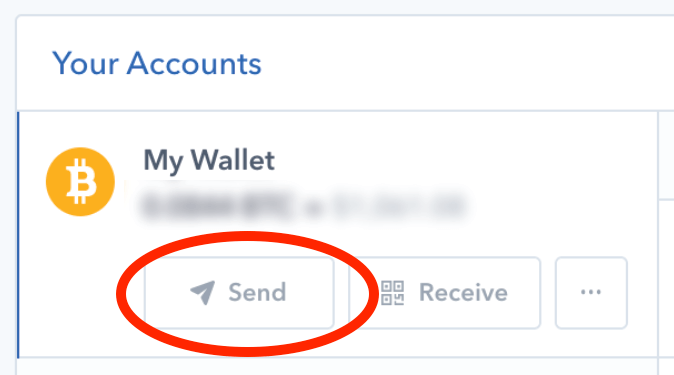 Click send option which will be located exactly under the “My Wallet” tab. Copy the Deposit Address that was initially entered into Binance and the field of “Enter a BTC address”. 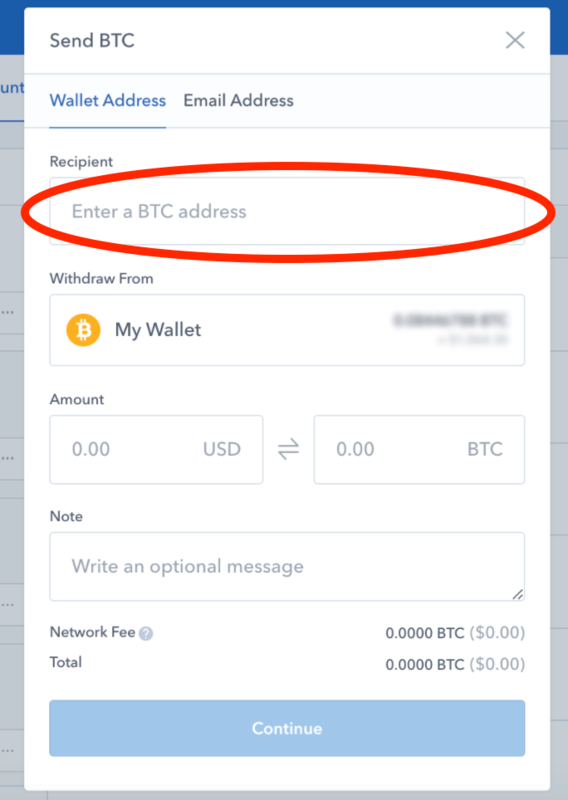 Enter the amount of Bitcoin that you wish to send and proceed with the transfer of your Bitcoin from Coinbase to Binance. The transaction will be authenticated soon and can be accessed at seen at the Binance Transaction History. On Binance, the option of BTC-XRP exchange will allow the conversion of Bitcoin to XRP. The link is www.binance.com/trade.html?symbol=XRP_BTC. Click the “Market” option on the panel of available tabs. 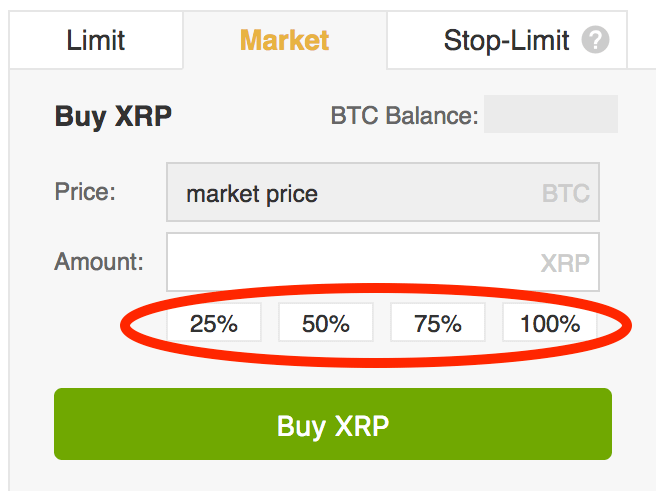 On the “Market” tab, you will see the proportions and percentages available that will allow the conversion to XRP. Select 100% option, if you wish to convert all the Bitcoin into Ripple XRP. Click the “Buy XRP” option and there you go. To ensure that the Bitcoin has been converted to Ripple XRP, simply follow the following link Deposits/Withdrawals where “Deposit Withdrawals” in the “Funds” option will give you the details. Please like and share this page if you successful bought XRP using our guide. Next article Google's High Altitude Internet Balloon Crashes In Kenya.